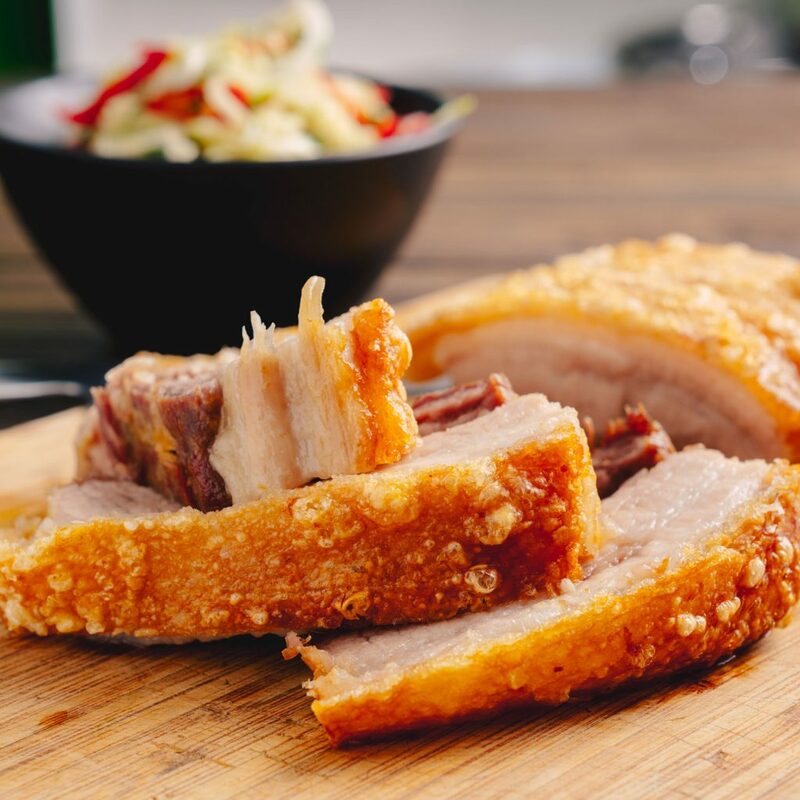 First up, you need to prepare the pork belly…this is a crucial step to achieve crispy crackling. Pat dry your pork belly with paper towel. Take a very sharp knife (a sharp utility or stanley knife works well) and cut lines across the pork skin about 1 cm apart. You want to cut through the skin and but only a couple of millimeters into the fat underneath. Now rub the skin with about a tablespoon of salt. 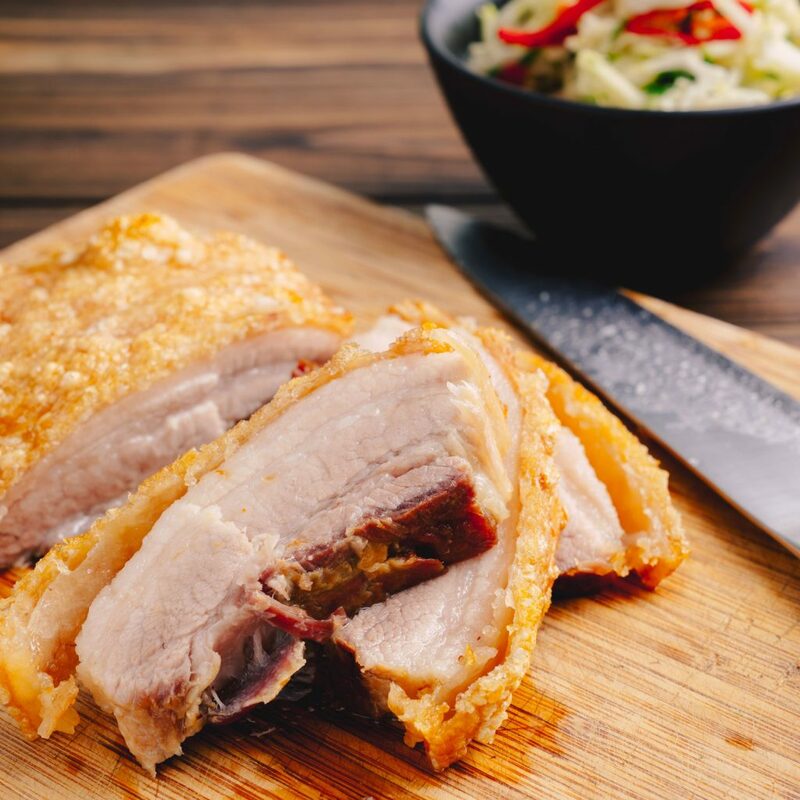 Sit your pork belly on a baking tray and chill in the fridge (uncovered) for at least 2 hours (overnight is even better). Pat dry the pork skin with paper towel. Rub the skin with a little oil and sprinkle with a little extra salt. Place the pork belly skin side down in a roasting dish. Top with baking paper and place an oven-proof weight on top (a cast iron pan or a heavy casserole dish will work well). 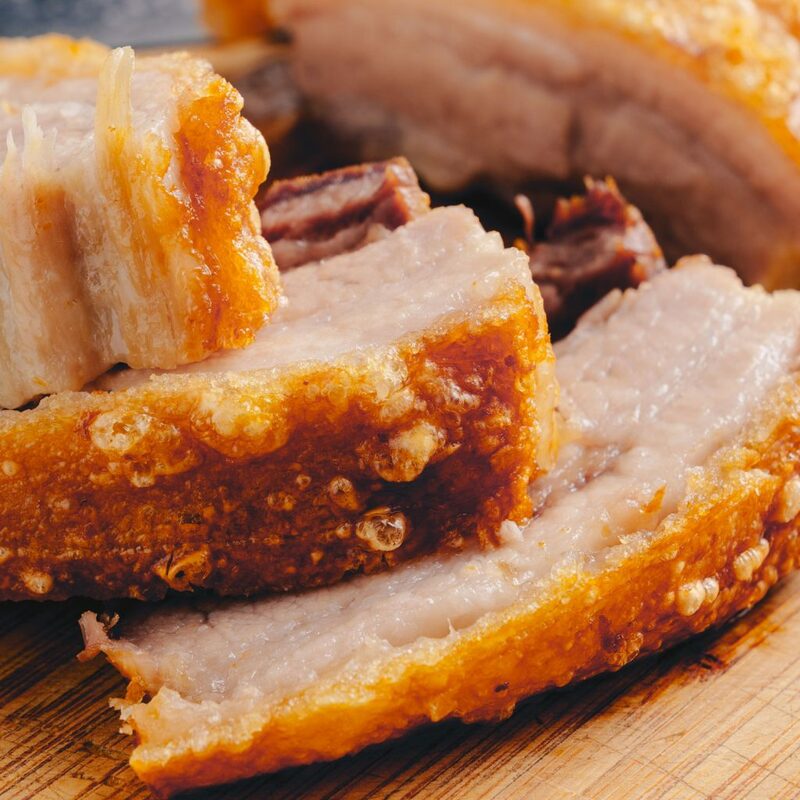 Roast the pork belly for 1 hour. Then remove the weight and baking paper and turn pork belly over so it is skin-side up. Roast for a further 10 minutes. For the Asian ‘slaw, mix all ingredients in a large bowl. Slice pork and serve with ‘slaw.